Newcastle Pride, the largest free pride parade in the UK, took place not that long ago. If you read my previous blog post you will know that I was a volunteer photographer at the event. This was a huge deal for me. It was my first time being an actual photographer at an event. Unfortunately I was not there for the parade and only shot the event on the Sunday. This meant that the atmosphere in my images is a lot more subdued than it would have been if I was there for the main event. Hopefully I can repeat the experience next year and shoot the parade as well. After getting lost in Newcastle for an hour, I finally arrived at the event. My first port of call was the volunteers tent. Here, I received my high-vis jacket (It really set my outfit off), press pass, and a briefing from the head of volunteers, Steven Duffy. There was a welcoming atmosphere as soon as I arrived and I really felt part of the team. I arrived at 12pm, before the event had started. This meant that I had an hour and a half to walk around the site with minimal people milling around to find the right angles to shoot and just get a feel for the place. My main base for the day was the Women’s Zone, this was a space dedicated entirely to ensuring the comfort and safety of women at the event. Women artists were playing on stage, women staffed the bar and only women were allowed inside. As one of the few female photographers on site at the time I spent a lot of my time trying to capture the wonderful atmosphere of this space. The space brought with it a wonderful feeling of inclusiveness, it didn’t matter your sexuality, background, race or birth gender. It was a room full of women supporting other women. Some people may see it as sexist that there was a women’s only zone, I see it as necessary. The whole day had an exhilarating atmosphere. There was always something to see or something to do, from fair ground rides to talented singers to rainbow coloured market stalls. There was never a quiet moment on site. 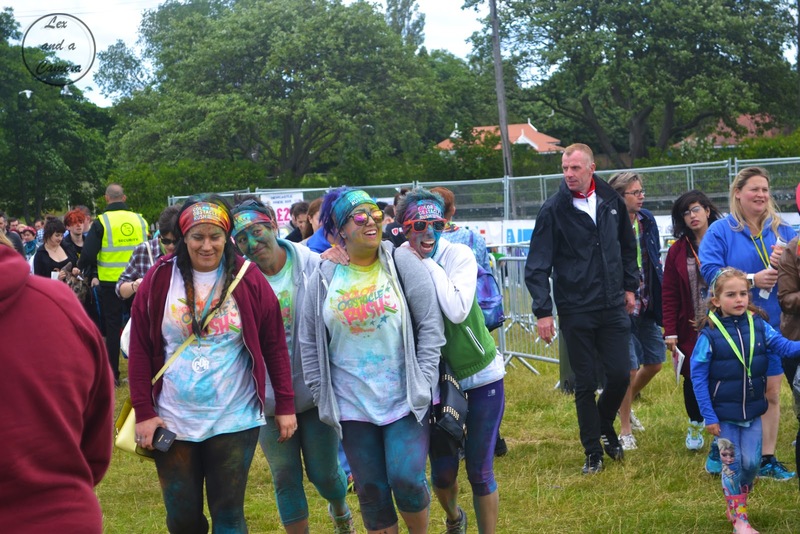 There were multiple areas at the event, including a fairground, a dance tent and numerous stalls. 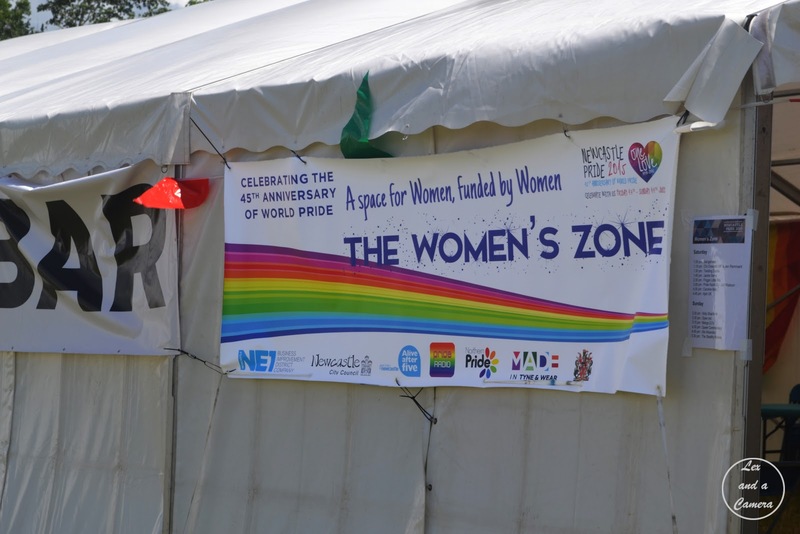 Sadly, I did not get many images of these areas as my main focus was the Women’s Zone. 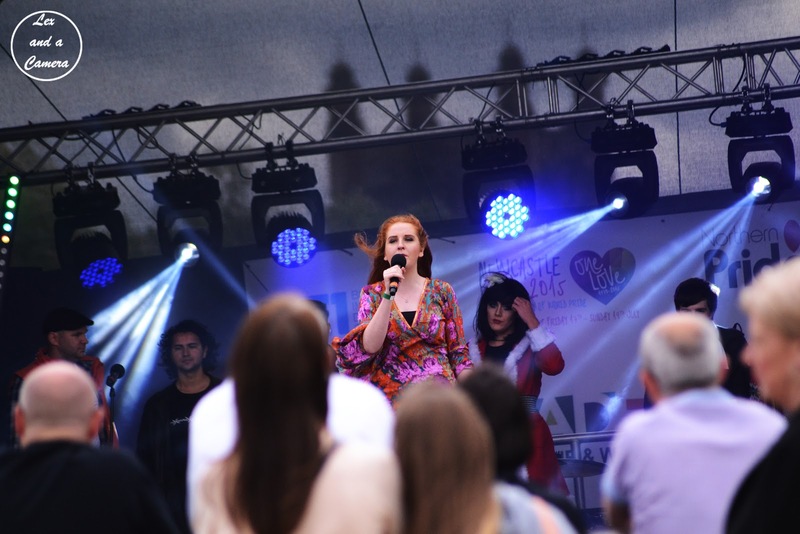 As a sixteen year old, saying that I was a photographer at Newcastle Pride is a huge achievement for me. Not only did I volunteer at Pride, I can say that my first job as a photographer was at Newcastle Pride. It may have been volunteer work but it still came with a great feeling of privilege.